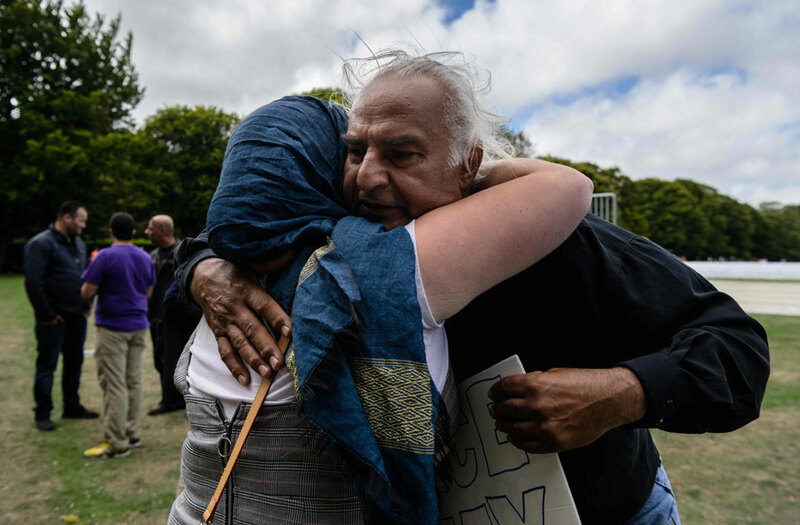 Alaska Wood, 26, (L), and Mohammed Nadir, 58, (R) hug after they were reunited after a two minutes silence and Muslim prayers for twin mosque massacre victims in a park near the Al Noor mosque in Christchurch on March 22, 2019. 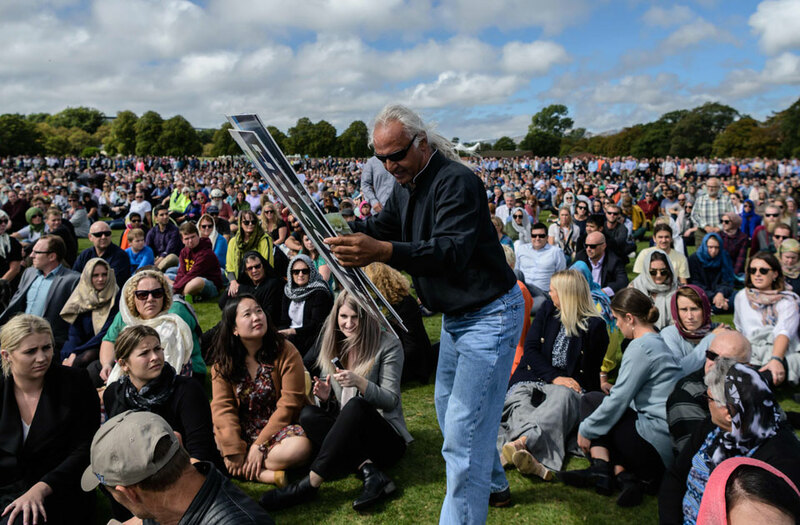 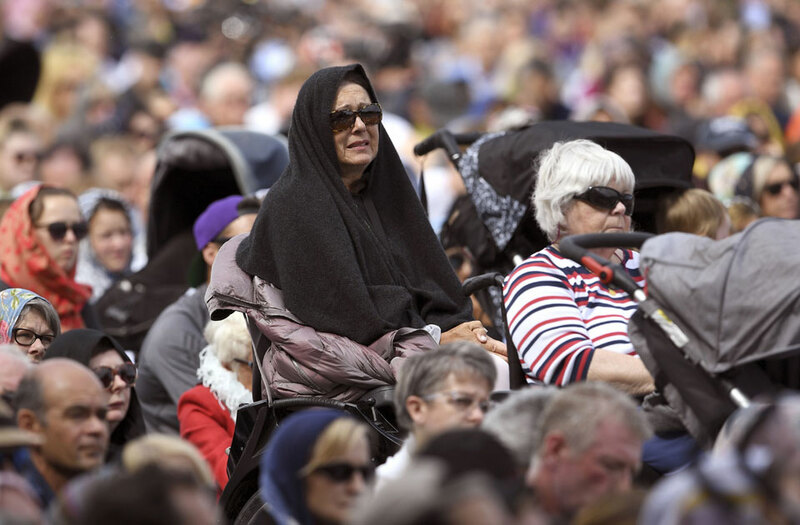 Members of the public look on during a gathering for congregational Friday prayers and two minutes of silence for victims of the twin mosque massacre, at Hagley Park in Christchurch on March 22, 2019. 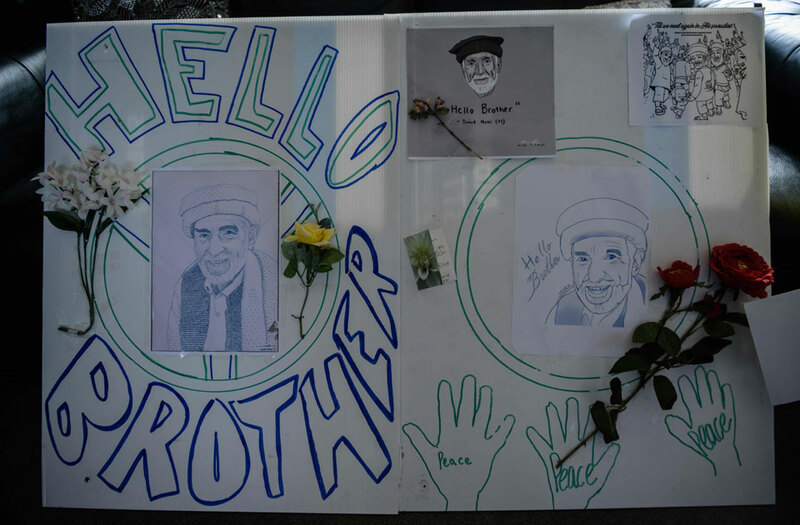 Mohammed Nadir, 58, walks through a crowd of people while holding an artwork sent by a well wisher in memory of his brother in Christchurch on March 22, 2019. 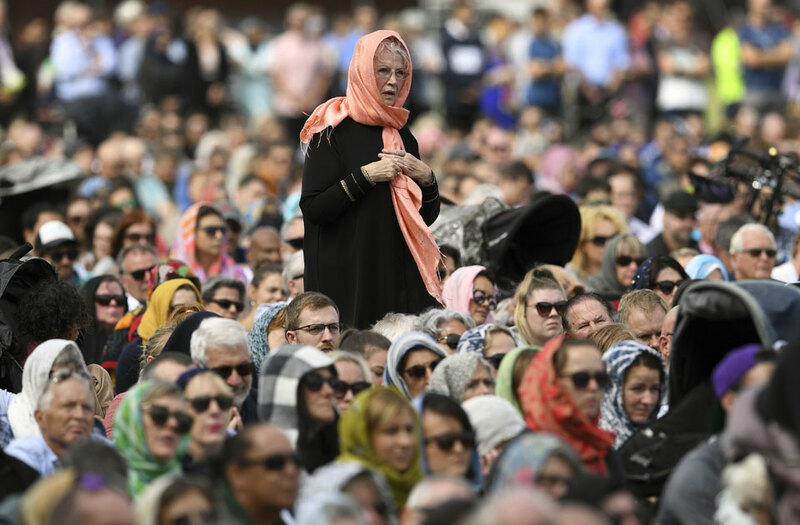 Attendees react during a two minute silence held in memory of the twin mosque attacks, in a park near the Al Noor Mosque in Christchurch on March 22, 2019. 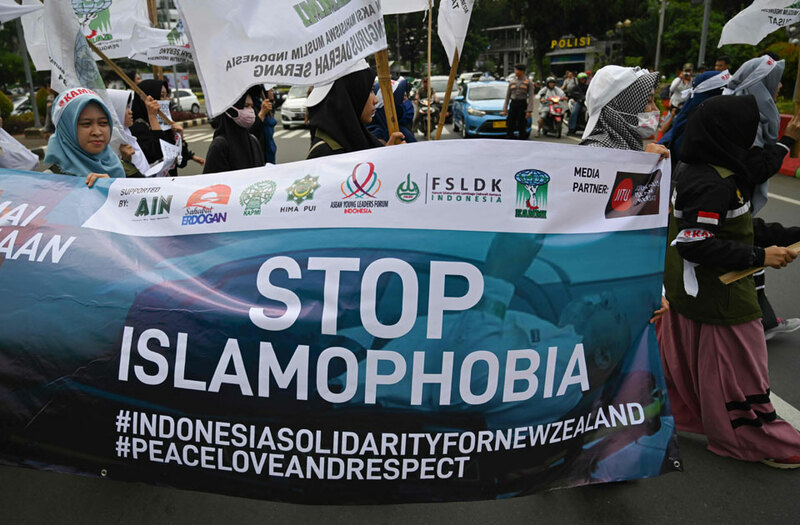 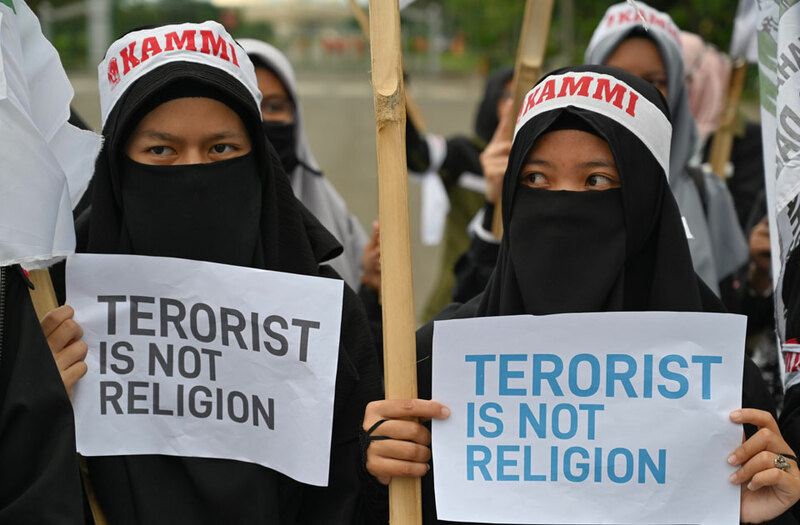 Indonesian Muslims hold a rally in Jakarta on March 22, 2019, to condemn the attacks on two mosques in New Zealand. 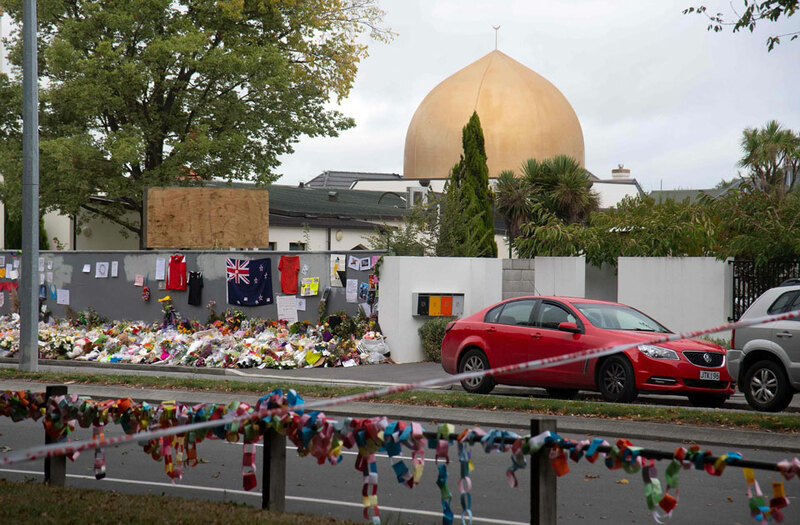 The Masjid Al Noor mosque in Deans Ave is seen without barricades a week after the twin mosque attack that claimed 50 lives in Christchurch on March 22, 2019. 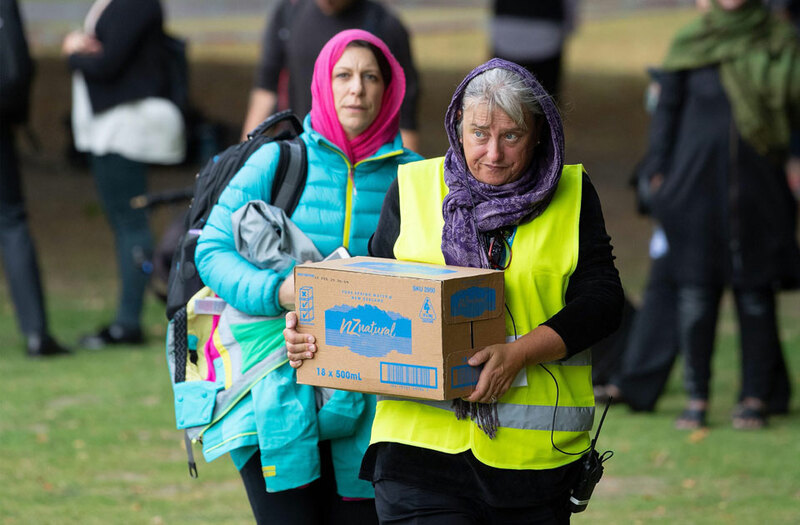 Volunteers in head scarfs make arrangements of drinking water for the worshipper of a Friday mass prayer and moments silence in Hagley Park in Christchurch on March 22, 2019. 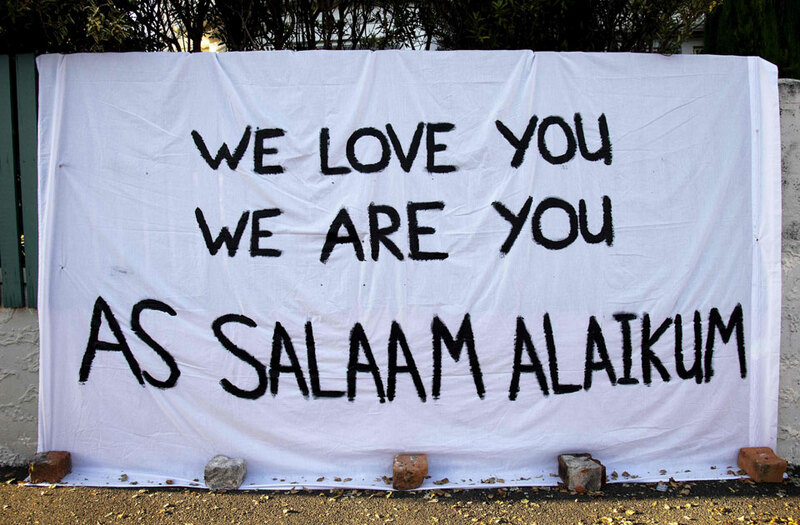 A banner that reads "we love you, we are you, as salaam alaikum (peace be upon you)" is seen on a picket fence in Wellington on March 22, 2019, a week after the twin mosque massacre in Chrishchurch. 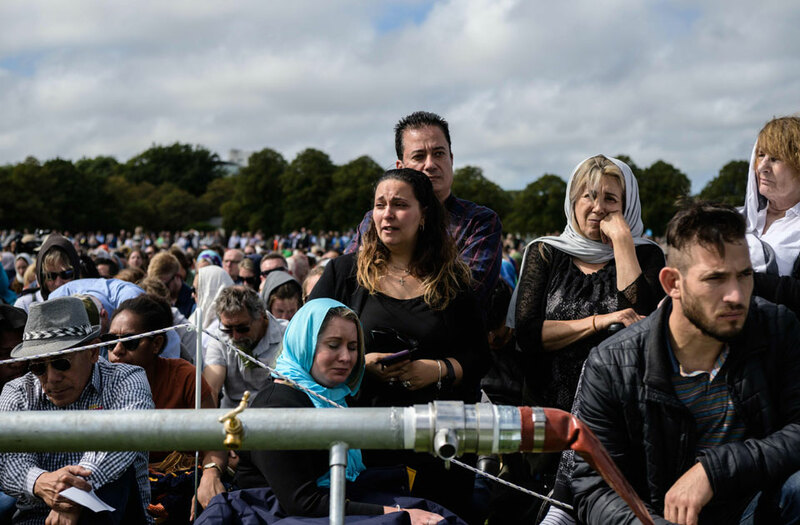 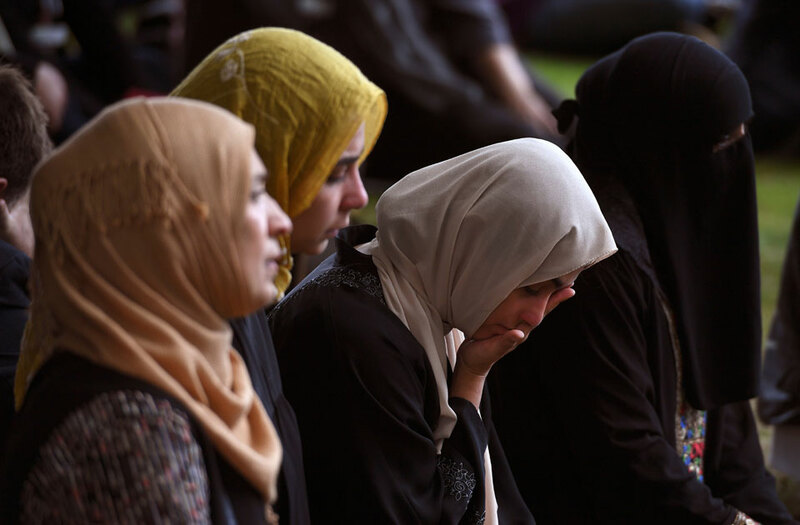 Members of the public cry during congregational Friday prayers and two minutes of silence for victims of the twin mosque massacre, at Hagley Park in Christchurch on March 22, 2109. 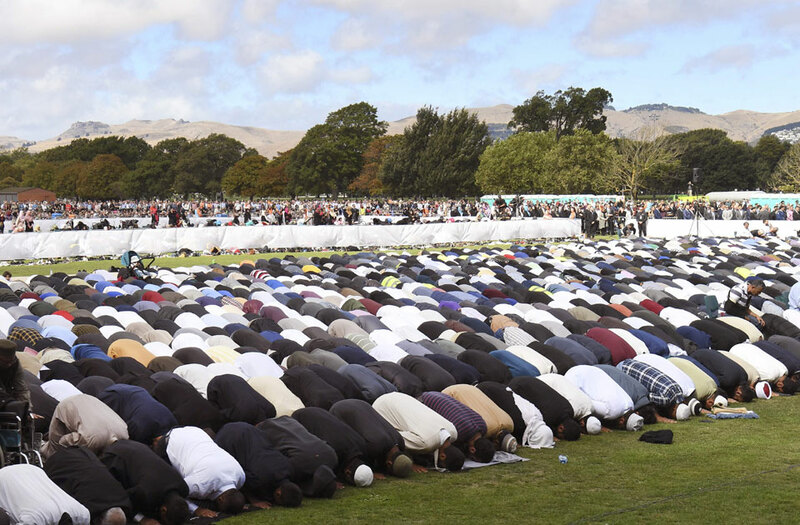 People pray during congregational Friday prayers and two minutes of silence for victims of the twin mosque massacre, at Hagley Park in Christchurch on March 22, 2019.